"I hear the voice of the cards!" "When a cat knows a mouse can't get away, it lets it do what it wants for a while." PSY Qualia is a state of amplified cognitive function that improves an individual's intuition and perception.3 While its effects are varied between individuals, the most common characteristic are a state of overconfidence and an ability to "see" one's victory in a Vanguard fight ahead of time. Both in the anime and manga, PSY Qualia is the root driving force behind Cardfight!! Vanguard's conflicts. PSY Qualia comes from a combination of terms; "Psy" from the Greek word psychikos ("of the mind") and the Latin term qualia, meaning "what sort" or "what kind." Qualia (singular quale) is used to describe subjective conscious feelings. An example of a quale is the sensation of looking at a color. As qualia is a plural term, PSY Qualia can be taken as a description of many feelings, such as the voices that lead its user through battle. PSY Qualia are then "feelings of the mind." In chapter 10 of the manga Tetsu gives the formal spelling of PSY Qualia, ＰＳＹクオリア(Romaji; PSY kuoria. )3 This spelling is agreed with by how the anime presents the card shop PSY's logo on its sign. As shown in ride 23, those with even very underdeveloped PSY Qualia can sense other Qualia bearers, and for Sendou this is physically painful. Though often described as a "power," PSY Qualia more closely resembles an acute psychosis. Prolonged use of PSY Qualia is shown to end in severe withdrawal symptoms. 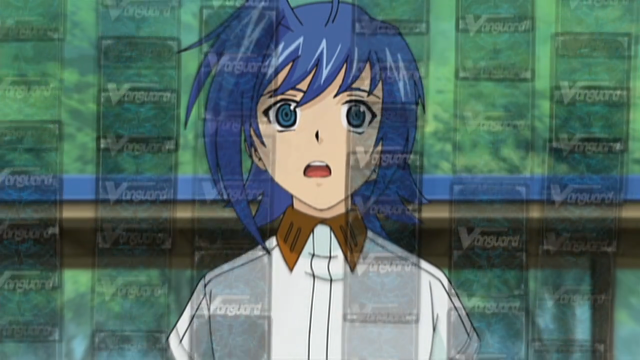 In rides 41, 42 and 45 Sendou Aichi collapsed after overextending himself while fighting with Qualia, and in the latter half of his match with Bidou Kiriya he demonstrates severe addiction to it. This addiction is expanded on by Suzugamori Ren in ride 43, where he states that Sendou will eventually be so drunk in power that he will be unable to fight without Qualia's support. Although he does not suffer these particular effects today, in ride 40's brief flashback Ren was shown to have fainted at least once from post-Qualia sickness. Qualia's hold over its wielder can be intensified by emotional need. Through rides 43 up to 50 Sendou becomes gradually consumed by his desire for Kai Toshiki's recognition, ignoring Bidou's pleas for mercy while thinking only of growing stronger. This hold is extremely difficult to break, and promotes further use of the power. In rides 63-65 Ren undergoes a progressive degeneration in sanity, contorting his facial features beyond the limits of human muscle structure, and in these episodes as well as the past of ride 47, begins to make increasingly delusional comments. He states a desire to expand Foo Fighter to overseas regions, believing it to be "simplicity itself" in using his power to do so, earlier stated as "taking over the world." Ren follows this by saying that "all people will fall on their knees before my power." Suzugamori also accuses Tetsu of being unjustly afraid of PSY Qualia, and torments him with a vision of Phantom Blaster Overlord as punishment. During his final match with Aichi, Ren expresses phantom limb-type feelings, that he swung a sword while standing perfectly still and that abstract power fills his body when it does his Overlord. Unlike in his previous use of Qualia as a torture mechanism, Suzugamori appears to have felt either purely hallucinogenic side effects, or the end result of Cray's synchronization with Earth. Revealed by "Him" in ride 64, PSY Qualia's true purpose is to synchronize events on Earth with events on the planet Cray. Individuals compatible with the power are selected and aligned to conflicting sides, so that when one aligned side on Cray falls, so will the human fighter; more importantly, the reverse is also true. It is because of this that Aichi and Ren were given their power, to resolve the battle between the Royal and Shadow Paladins. "He" also states that PSY Qualia was previously foretold in Cray's legends, suggesting that there have been bearers before these two. Following the resolution of this conflict in 65, Aichi states that he can no longer feel the presence of--and presumably, cannot access any longer--PSY Qualia. This is possibly attributed to Cray no longer requiring Earth's synchronization, as their war was already over by that time. 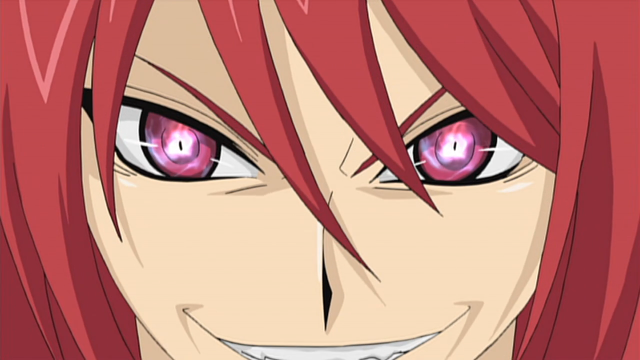 In the Japanese language track of Vanguard's first season finale, Sendou uses "もう一人の僕 mou hitori no boku" to describe himself in a state of PSY Qualia. This is a phrase originated by Yu-Gi-Oh!, a 1990s manga series for which Vanguard's primary creator, Ito Akira, originally worked on as an understudy to Takahashi Kazuki. Commonly translated as "the other me," the phrasing in the original text was used to differentiate Mutou Yugi from the nameless spirit that would possess him in card duels. 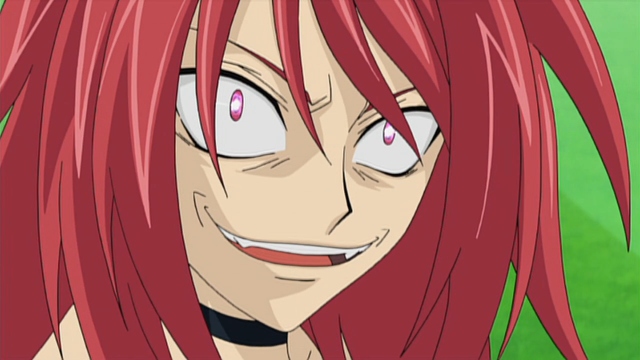 While it was used fondly in Yu-Gi-Oh!, Ito's use of it in Vanguard lends credence to the idea of PSY Qualia as a criticism of the "other me," as Sendou's persona under PSY Qualia is a vicious, power-hungry individual. While Aichi ultimately accepts this other side of himself as a fault that he was running away from, what Vanguard has already established of Qualia continues to stand, and he himself does not continue fight with PSY Qualia after accepting this self. 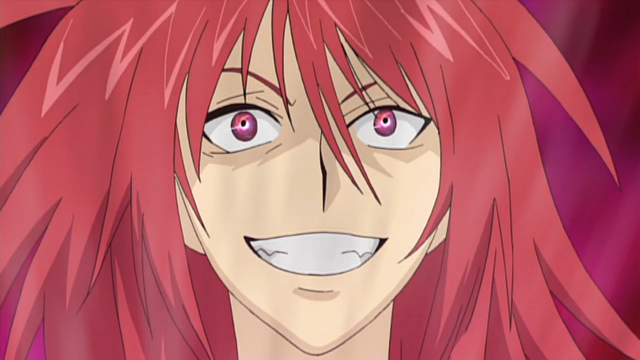 Suzugamori Ren -- Chronologically, the first afflicted with PSY Qualia, and the first to be shown on-screen. Ren has been known to foresee the outcome of fights, send others into a hallucinatory state, torture the defeated with sourceless pain and glimpse up to several hours into the future. 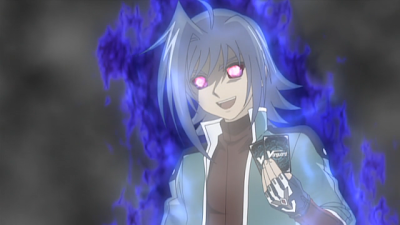 Sendou Aichi -- The second afflicted person, Sendou first felt his power in ride 22, and began to utilize it fully starting in 34. 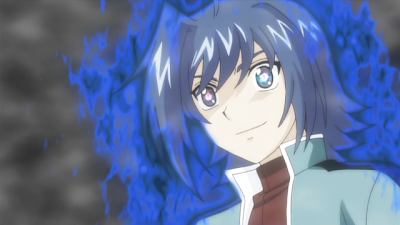 Like Ren, Aichi has used his power to foresee his victory and induce hallucinations, but perhaps due to its relatively undeveloped nature, he has not actively used it outside of cardfights. Unlike Ren, Aichi's Qualia develops into an entirely separate personality over time, and this becomes a source of guilt for him late in the first season. Shinjou Tetsu -- The first person known to have PSY Qualia used on him, by Ren. Tetsu is afraid of Suzugamori's Qualia. In the manga, he suggests himself to also be afflicted. Suiko -- Highly implied though not outright confirmed to have PSY Qualia. 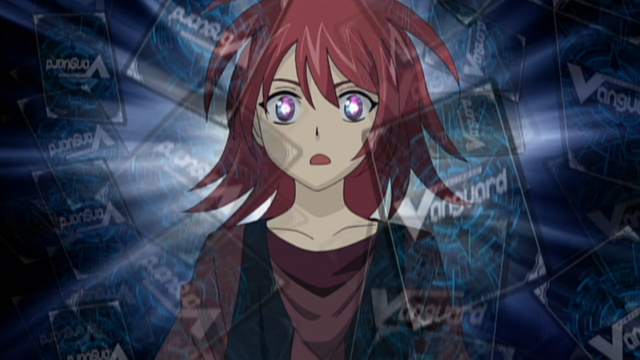 Suiko is able to sense individuals possessing PSY Qualia or the people for it, as well as Misaki's photographic memory, and in ride 40 she recalls a vision of Cray that only Aichi was a witness to. In the manga, it was Suiko who first hooked Ren on the power. 1. Cardfight!! Vanguard Ride 57. Crunchyroll, 2011. Web. 2 Apr. 2012. 2. Cardfight!! Vanguard Ride 48. Crunchyroll, 2011. Web. 2 Apr. 2012. 3. Ito, Akira. Cardfight!! Vanguard Volume 2. Tokyo: Kadokawa Shoten, 2011. N. pag. Web. 2 Apr. 2012. 4. Cardfight!! Vanguard Ride 57. Crunchyroll, 2011. Web. 2 Apr. 2012. Is Vanguard Set in Shinjuku?